Mary J. Blige is one of the most powerful voices and decorated R&B/Hip-Hop musicians of over 2 decades, with over thirteen studio albums, 9 Grammy awards, 10 Billboards Awards, 5 BET Awards, 4 American Music Awards, and 3 Golden Globe awards nominations to her name. Aside from singing, she is a rapper, songwriter, model, and actress. She was once nominated for the Academy Award for Best Supporting Actress and for the Best Original Song in the same year making her the first person to be nominated for such two great Awards the same year. Mary rose from an awful childhood, pulling through sexual molestation, drugs, and alcohol to be the great musician we know today. Mary Jane Blige was born on January 11, 1971, in Yonkers, New York City to Cora and Thomas Blige. Her mother was a nurse while her father was a Jazz musician and a Vietnam war veteran. She grew up in Savannah as the second child out of four children when the family moved there. Her father who was said to have suffered from post-war trauma left the family in mid-1970 when Mary J. Blige was only 4 years, this thrust upon her nurse mother the responsibility to fending and catering to the family single-handedly. The acclaimed queen of Soul spent part of her early life in Richmond Hill, Georgia, where she actively sang in a Pentecostal church in her neighborhood. The early life of young Mary J. Blige was marred by lots of emotional trauma, sexual molestation, harassments which invariably pushed her into the use of drugs and eventually into alcoholism in a bid to ease the pains but ultimately, music became her true escape. She went back to Yonkers, New York to stay with her Mum and younger sister. She found her way to Roosevelt High School but dropped out in her junior (11th grade) year to the dismay and disappointment of her mother, in order to concentrate on her music career. She joined Pride, a Yonkers band group where she did amazingly well. In 1989, Mary was signed to Uptown Records as a backup vocalist through the help of Jeff Redd and her mother’s boyfriend then. Having signed a Record deal with Uptown Records, Mary J. Blige started working with P-Diddy who was a producer then. On July 28, 1992, she released her first studio album titled What’s the 411?. The album was widely received and peaked at Number 6 on the Billboard 200. Following the success of her first album, she dropped her second studio album titled My Life on November 29, 1994, this too was a massive commercial success and it became Mary’s breakthrough album. My Life debuted at Number two on the Billboard 200 and Number 1 on the Top R&B/Hip-Hop Albums chart and sold 4 million copies worldwide. On April 22, 1997, Mary J. Blige released her third studio album titled Share My World under MCA Records. The album opened at Number one on the US Billboard chart and peaked at number eight on the UK Albums chart. The album sold over 3 million copies in the United States and saw her release a fourth album titled Mary on August 17, 1999, which sold 239,000 copies within the first week of its release. In 2001, Mary J. Blige released her fifth studio album titled No More Drama, followed by her sixth studio album titled Love & Life released in 2003. December 20, 2005, saw the release of her seventh album titled The Breakthrough. In 2007, she released an album titled Growing Pains, making it her eight studio albums. Her other albums include Stronger with Each Tear (2009), My Life II… The Journey Continues (Act 1 – 2011), A Mary Christmas (2013). The London Sessions released in 2014 and Strength of a Woman (2017). The beautiful singer has collaborated extensively with other artists like Method Man, Ghostface, Mariah Carey, Aretha Franklin, Eve, Jay-Z, 50 Cent, Lauryn Hill, Ludacris, Busta Rhymes, NAS, DMX, and many others. Mary J. Blige has embarked on 13 Tours since 1997, she has also featured in over six movies; her debut Film is titled Prison Song (2001). She has also made remarkable appearances in over 13 Television series such as; New York Undercover (1995) Moesha (1999), Empire (2015), How To Get Away With Murder (2016) among others. Mary J. Blige has made a great fortune from her successful music career and even though she made massive income, it seems they have all been spent funding her expensive taste in cars and houses that have all added to her financial pressures and indebtedness. Her net worth is estimated to be about $ 20 million all from the sales of her records, numerous Tours, concerts and with a lot of mouth-watering endorsement deals with reputable organizations like Reebok, Air Jordan, Pepsi, Coca-Cola, Gap, Target, Apple Inc, American Express and Chevrolet. Mary has a good height and physique that she has not hesitated to flaunt. She is commanding a height of 5 ft 9 inches and weighs 66 kilograms. 1. Mary and Martin “Kendu” Isaacs never had any child together in their 13 years of marriage, but she helped care for his kids Nas and Jordan from his previous marriage and an older Briana from when he was a teenager. 2. The R&B Queen has made appearances in over 150 other acts, albums, and soundtracks. 3. 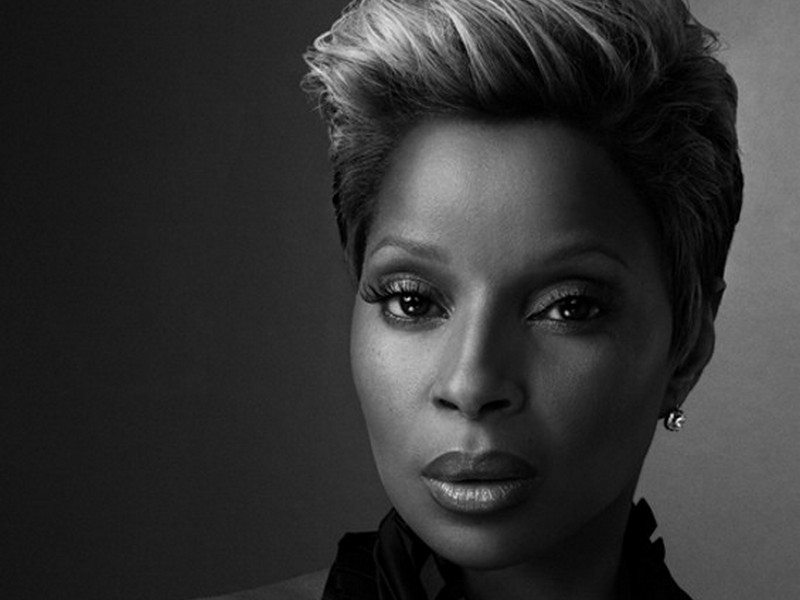 Mary J. Blige made the list of 100 influential individuals around the world as released by Time Magazine in 2007. 4. She has a customized perfume line named My Life which she launched in July 2010. The perfume sold 65,000 bottles in its premiere and won FiFi Awards and Fragrance Sales Breakthrough Award. 5. Mary J. Blige and Kendu Isaacs were married in December 7, 2003, but after 13 years of marriage, she filed for a divorce in July 2016 citing irreconcilable differences. The divorce was finalized on June 21, 2018, with the court mandating her to pay spousal support of $30,000 per month to Martin Kendu Isaacs her Ex-husband. 6. Many financial woes piled up against her from New Jersey government when the Internal Revenue Service mandated her to pay $3.4 million for tax evasion in February 2013. 7. She established her own Record label named Matriarch Records in 2004. An all-girl group named Just’Us is signed to Mary’s Label and she is working with the group on their debut album.